Looking for a fun and novel table decoration for a special event? Here’s an idea. We turned our table decorations into a game for the School Gardening Conference. 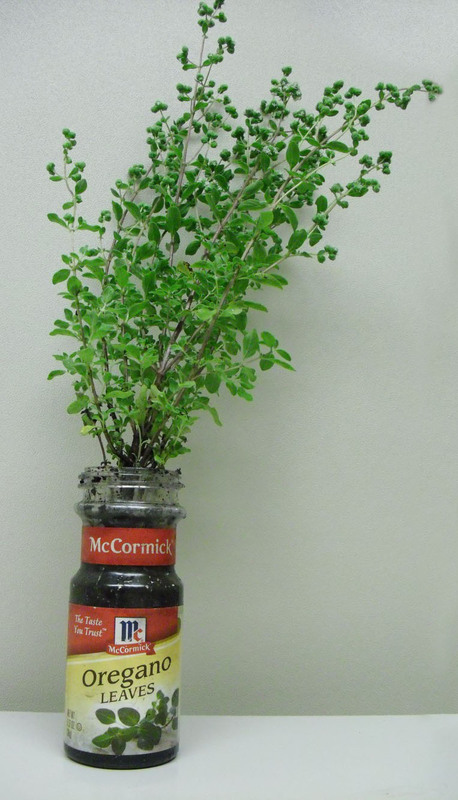 Oregano in its namesake jar was our Planter Puzzler example. 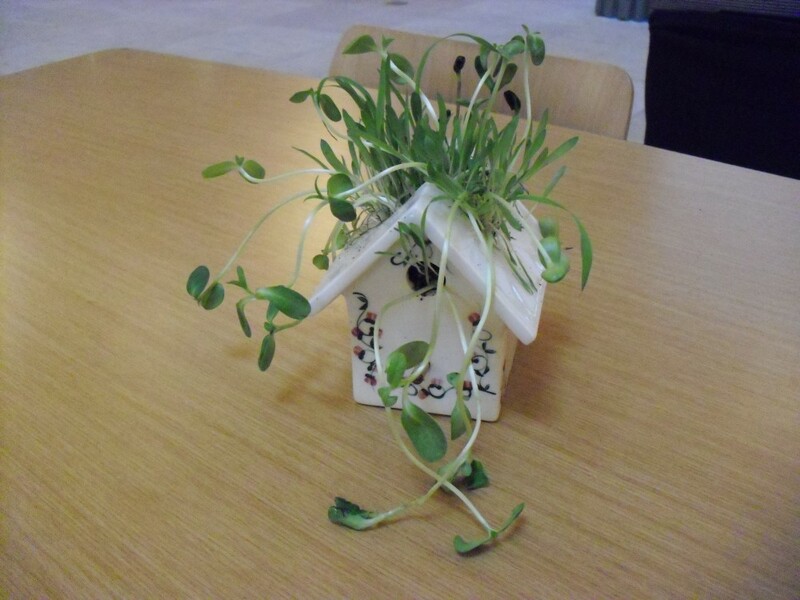 We paired unusual plant containers with plants that had some relationship to those planters and asked teachers to guess the connections. We provided an easy example to start. You can duplicate this game using our examples or invent your own combinations. Start with a plant that has a fun name that lends itself to ideas for containers based on the shape, color, or function of the container. You can also start with a container and then select a plant or seeds to match. I had a ceramic birdhouse, so I filled it with soil and planted birdseed (actually, millet and sunflower seeds). 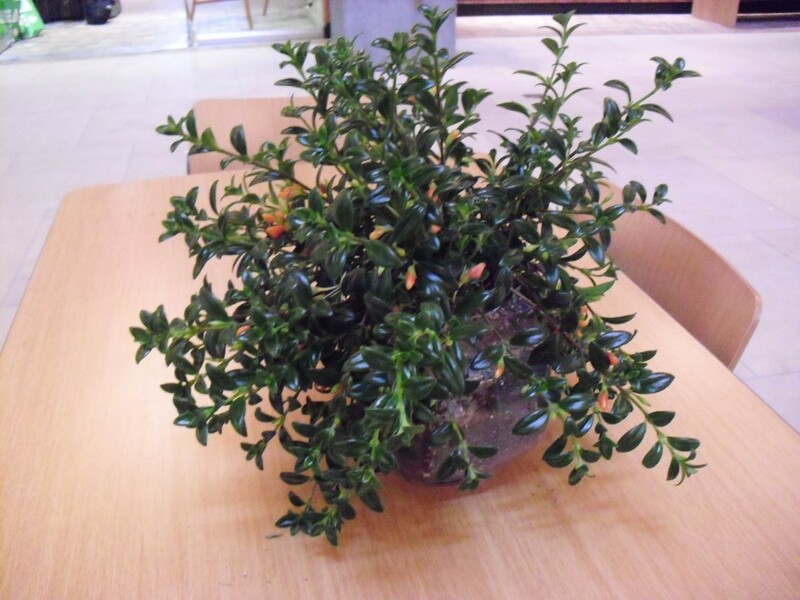 It was easy to find the right container for this goldfish plant (Hypocyrta glabra)—a fish bowl! Since these containers were not made for plants, you may need to line them with a plastic bag or insert a plastic cup or pot. 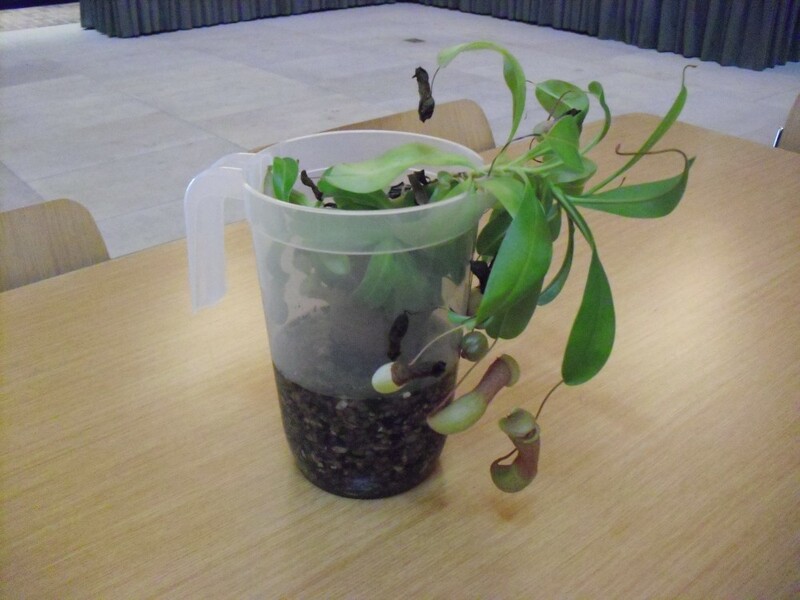 If you want to keep the plants in this container for any length of time, you’ll need to provide drainage or the roots will rot. 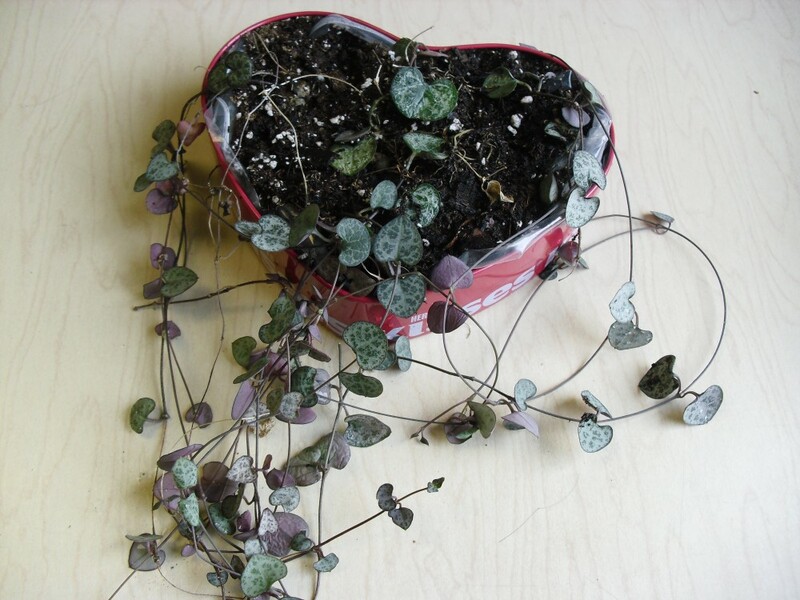 Follow directions from Tim Pollack for planting a terrarium in this YouTube video.